You should make a decision to file for bankruptcy only after you have considered every other option and you have determined that filing for bankruptcy is the only way to get your finances back on the right track. There are answers to common bankruptcy questions that most debtors look for before making their final decision. 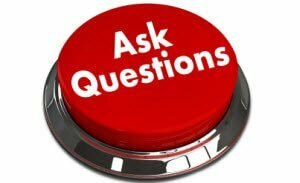 However, any questions you have should be answered by an experienced bankruptcy attorney in your area. What Does It Mean To Declare Bankruptcy? When an individual or business decides to declare bankruptcy, they are beginning a legal process in federal court that will prevent creditors from seeking payments on debts owed until the bankruptcy has been discharged by the court. What Financial Issues Cannot Be Resolved By Filing Bankruptcy? How Will Bankruptcy Change My Credit Rating? There will be a record of you filing for bankruptcy on your credit report for ten years. However, your old debts will be eliminated so you can improve your rating by making sure your current bills are paid on time. Once you know the answers to common bankruptcy questions, you will be more informed to know what to expect before, during and after the process. A qualified bankruptcy attorney in your area can help navigate you on your road to financial recovery. If you have questions about bankruptcy, contact us for a free consultation.